The first Commercial Resupply Services (CRS) mission to the International Space Station (ISS) is achieving its primary objectives, despite Dragon’s eventful ride uphill. Its noisy partner, the Falcon 9 launch vehicle, lost an engine during first stage ascent, while the second stage failed a propellant mass check at SECO-1, resulting in its secondary payload passenger – an Orbcomm satellite – being left in an unworkable orbit, prior to deorbiting. The first stage issue related to Engine 1, one of nine Merlin 1Cs, after – it is understood – the fuel dome above the nozzle ruptured. The engine did not explode, but did cause the fairing that protects the engine from aerodynamic loads to rupture and fall away from the vehicle due to the engine pressure release. It is not clear if any specific details into the root cause of the failure will ever be revealed to the public, due to the proprietary nature of SpaceX’s hardware. However, NASA and SpaceX are currently reviewing the incident via a joint CRS-1 Post-Flight Investigation Board. It has been noted the board are carrying out a comprehensive examination and analysis of all launch data, with the goal of understanding what happened and how to correct it prior to future flights. According to L2 sources, the board has dispositioned systems and components that data show were not part of the anomaly, typical for the early steps in a failure analysis. The next step will be to review the build records of the remaining components that could be suspect. Meanwhile, parallel efforts are reviewing past test data of engines and stages at the McGregor Rocket Development Facility in Texas to look for similar data signatures to that observed during Falcon 9’s ascent. 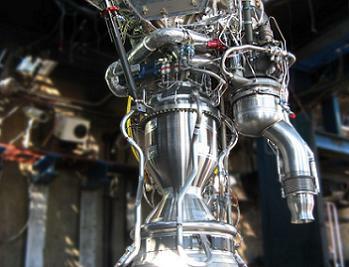 The extensive test history of Merlin engines, even where there was a problem during testing, lends an empirical base to the investigation. The next flight, CRS-2 (SpX-2) is currently scheduled to launch in January, 2013 – although that date will be dependant on the outcome of the board’s findings, not least any potential corrective actions required on the next Falcon 9 vehicle. 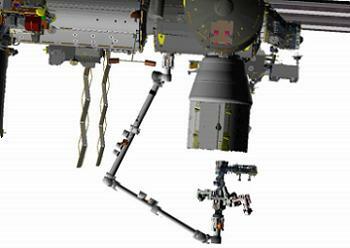 CRS-2 will debut the use of Dragon’s Trunk section, capable of delivering unpressurized cargo, prior to the payload being removed by the ISS’ robotic assets after berthing. Per L2 manifest documentation, this mission will carry two Heat Rejection Subsystem Grapple Fixture (HRSGF) – Grapple Bars in Dragon’s Trunk, for installation on the Mobile Base System (MBS) Payload and Orbit Replaceable Unit Accommodation (POA). No downmass has yet been allocated for Dragon’s Trunk for CRS-2 or CRS-3, the latter set to carry three sets of science payloads alongside its compliment of primary upmass that will ride – as per usual – in the Dragon’s pressurized section. 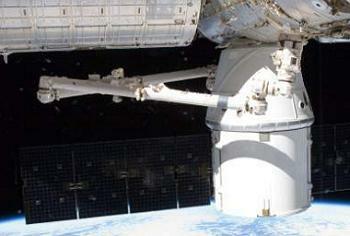 In preparation for the use of Dragon’s Trunk, the COTS 2+ mission saw the Canadian robot Dextre (SPDM) ride on the SSRMS to meet with Dragon’s Trunk section, allowing for an inspection and the evaluation of clearances ahead of robotic operations proper during CRS-2. For CRS-1, ISS managers decided not to repeat the operation with Dextre, instead allowing for the SSRMS to reposition for an inspection of its LEE (Latching End Effector) that grabbed hold of Dragon during its arrival at the orbital outpost. This inspection was completed this week. “Mobile Transporter (MT) Translation and Space Station Remote Manipulator System (SSRMS) Latching End Effector (LEE) Inspection: “The MT moved from worksite 2 to worksite 5, which is one of the home positions of the MT,” per notes on L2’s rolling ISS update section. The MT will reposition to worksite 2 ahead of grappling the CRS-1 Dragon for its unberthing at the end of the month, marking the end of the private spacecraft’s time at the ISS. As with the COTS 2+ Dragon, the period of joint operations have progressed very smoothly, beginning with the opening of the Dragon hatch, prior to the removal of Dragon’s payloads. “SpaceX (SpX)-1 Dragon Cargo Operations: ISS Commander (CDR) Williams and Flight Engineer (FE)-6 Hoshide worked ahead of the timeline and executed all ingress operations originally planned,” noted L2’s CRS-1 Dragon Update Section. “Williams and Hoshide began Dragon cargo transfer operations, which included unpacking of double cold bags containing critical science such as NanoRacks and Resist Tubule. After unpack, the double cold bags and ice bricks were temporarily stowed on the ISS to allow condensation to evaporate. During the initial berthed operations, Dragon sat patiently on Node 2, providing no real headaches for SpaceX and ISS controllers on the ground, bar one minor issue that was soon cleared. “SpX-1 Vehicle Status: Onboard Dragon all systems are functioning nominally. The batteries are at a proper state of charge and the prop system is configured properly for ISS safety. 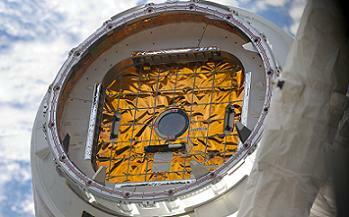 Thermal Control System (TCS) is also functioning properly,” added the L2 Status Notes. During this week, SpaceX carried out an evaluation into Dragon’s capabilities related to the impact of removing ISS power from the spacecraft for up to a 12 hour period – an assessment based on Dragon being at the Station during an Stage EVA at the Station. After the evaluation, ground teams in Hawthorne, California (MCC-X) worked on troubleshooting the “SpX Network Switch B” which went down during the week. 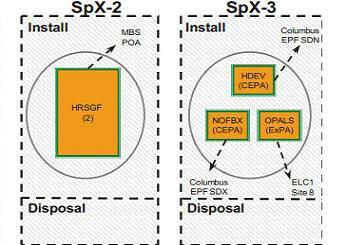 SpX ground specialists successfully executed a reboot of the Network Switch B, which recovered the Network Switch B without issue. 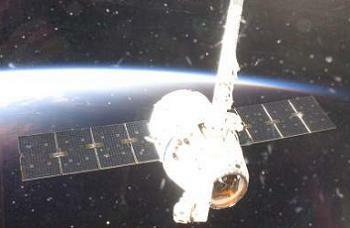 The next operation will be for the SSRMS to regrapple Dragon ahead of its departure, currently expected on October 28. (Images: via L2’s SpaceX Dragon Mission Special Section – Containing presentations, videos, images (Over 2,500MB in size), space industry member discussion and more. Now includes CRS-1 Image Dump, every single hi res photo taken from the ISS – several hundred images).